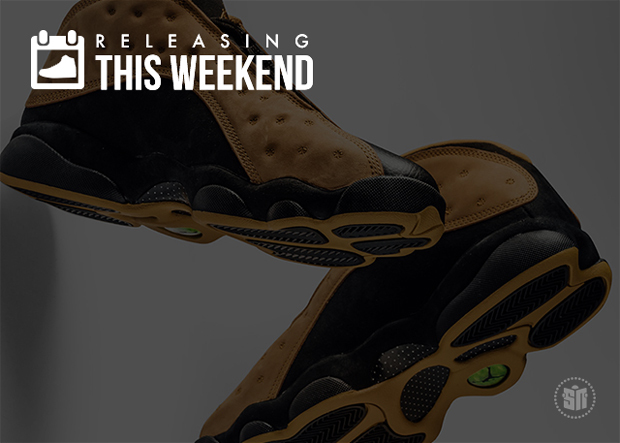 The Air Jordan 13 Low “Chutney” returns for the first time ever this weekend. While that original 1998 colorway will garner a ton of attention from Jordan purists out there, there’s still a ton of options for those of you looking elsewhere. NikeLab is introducing the first model inspired by their Breaking2 campaign at only a few locations with the unique white/orange NikeLab Zoom Fly SP. The Tom Sachs x Nike Mars Yard 2.0 will also be available for purchase exclusively at a “Space Camp” event in New York City. Japanese imprint Porter is teaming up with the freshly minted adidas NMD Chukka, too. Check out our latest installment of Sneakers Releasing This Weekend below and stay tuned for more updates throughout the week right here on Sneaker News.